In the last two weeks, Nicola, Raphael and Benjamin had the time to confirm this reality in the mysterious Sahara. From Guelmim, the doors of the Sahara to Laayoune, we have surfed on the sandy roads discovering one of the most fascinating area of Morocco. There, the towns are all splendid, painted in red and yellow, always full of life. 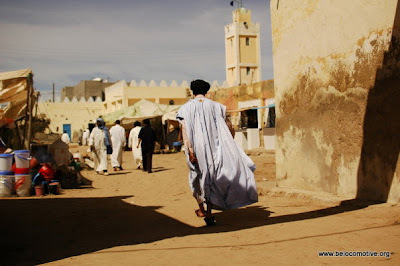 The Saharaoui live there, beautiful people dressed in djellabah that always smile and welcome you to share a tea together. 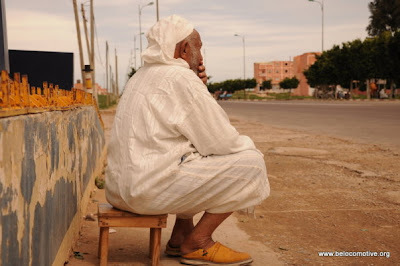 The area is officially occupied by the Moroccans, and live since decades under Moroccans rules. The political situation is pacific but not easy, many Saharaoui are not happy to share today their lands with Maroccans and maintain a strong Saharaoui identity, wishing independance and somehow regreting the times of the Spanish occupation. Others instead don’t worry too much for the situation and are just happy to live together in peace. However, thousands of policeman and militaries observe the streets of Laayoune to keep it under control. As photographers, we experienced how the situation is still tense when militaries and policemen got really afraid at the idea that our photos would be used for political purposes or journalistic reasons. Anyway, we have to admit we never met officials more relaxed and open like them and many became our friends, offering us a room to sleep and some bread to share. The experience in the Sahara was amazing, we met great open minds and encountered hospitality everywhere. We enjoyed an astonishing diversity with unique landscapes varying from the hot desert with dunes and camels to fascinating rivers, mountains and plain lands. The peace we found in the hearts of the people and in the nature was jaw-drapping and we are still fullfilled by it. 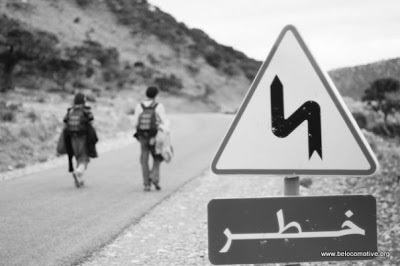 The excursion to the south of Marocco was so much worth and definetly highly reccomended to everybody who wants to explore the path less traveled. Waiting for a ride in the middle of the desert was unique and very special, our hearts were full of love and from the shiniest sun ever during our trip we could finally charge all our batteries for our laptop and cameras! Laayoune was our destination in Marocco, with the hope that we could find a boat there to take us to the Canaries Islands. There are indeed boats that cross, but unfortunately only commercials that couldn’t take anyone on board. We tried calling a Spanish company that carries sand from the Sahara to the Canaries beaches but they were firm: no way to cross with them. Quickly, we realized that our best chances were with private boats, sailing boats that stop in Marocco before going to the Canaries and one of the biggest “port de plaisance” was in Agadir. In no time we get back to Agadir thanks mainly to Masour, a nice Saharaouian father who took us from Tan-Tan to Agadir and like dozens of other lovely people he invited us to sleep at his place. The whole region of Agadir had changed in the last days due to the desastrous rains that have made the rivers go out of their beds. As a consequence, tons of plastics and other debris were floaded into the sea. Unfortunatly this is occuring not only during rainy days, but everyday in the whole world, endangering the entire eco-system of our precious seas. The worst part of it is that the plastic last for decades in the oceans, in the Pacific ocean there is already a plastic island twice as big as the size of France. Destiny this time was named Robin, Robin is the name of a nice Belgian guy with his sweet friends, Max and Karine and a beautiful sailing boat. We still got our backpacks on when he already approached us directly and frankly asking us if we were interested in getting to the Canaries Islands in about one or two weeks… The first difficulty vanished without stress… and the doors of the Atlantic Ocean are now open for the Locomotive of Freedom! 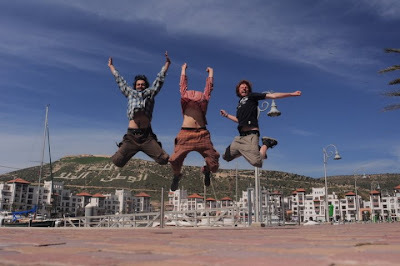 We are now still on the road in Marocco, discovering the “surfing coast” situated on the north of Agadir while Robin and his friends do the same in this fascinating country. This area has everything that one needs, wonderful beaches, fascinating green mountains and a rich soil where everything grows. This area was choosen by the Berberes when they came to Marocco long time ago. The Berbere is a community of Arabics who speak a different language than Marocco and have a distinguished culture. The famous Tagine comes from there. Besides their culture, the Berberes are famous for their hospitality and their hearts. As a matter of fact, each encounter with a Berbere has been a great experience, they are always willing to share their dinner, their home or their containers where they live with us! Destiny is mysterious and many things can happen before we leave Marocco… we will keep in touch to let you know when we are going to the Canaries Islands, possible departure the second week of March. 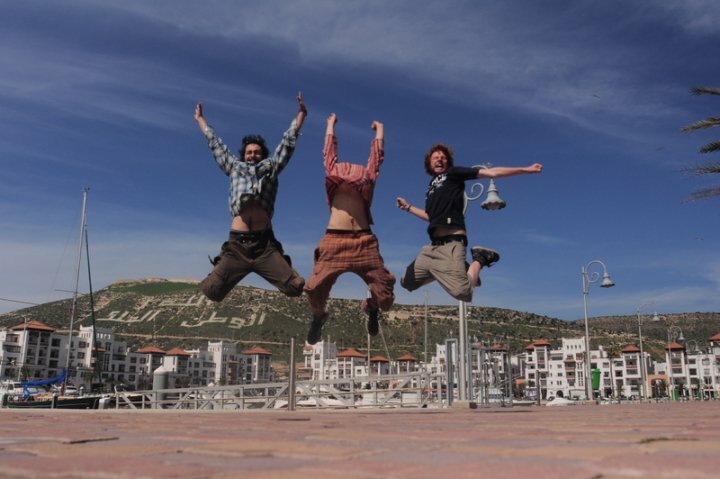 For now we can sum up that everything is possible: it is possible to hitchhike over 5000 kilometers from The Hague to Laayoune, to travel without money is possible, enjoying life to the fullest without money is possible, traveling in a sustainable way is more than possible -it’s great! -, crossing the sea to get to the Canaries Islands is possible, and most of all, being happy the way you want, in harmony with our mother earth and our brothers and sisters is possible!